You can find out about our up coming events here. 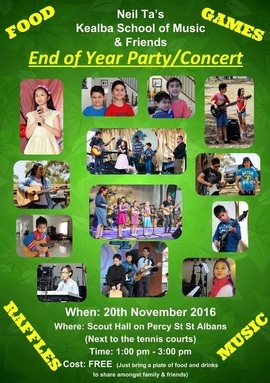 ​You are all invited to our e d of year concert / party. As every year there'll be plenty of food, games, raffles and music. Bring a plate of food and drinks to share with family and friends. When: Sunday 20th November 2016. Time: 1 pm - 3 pm. 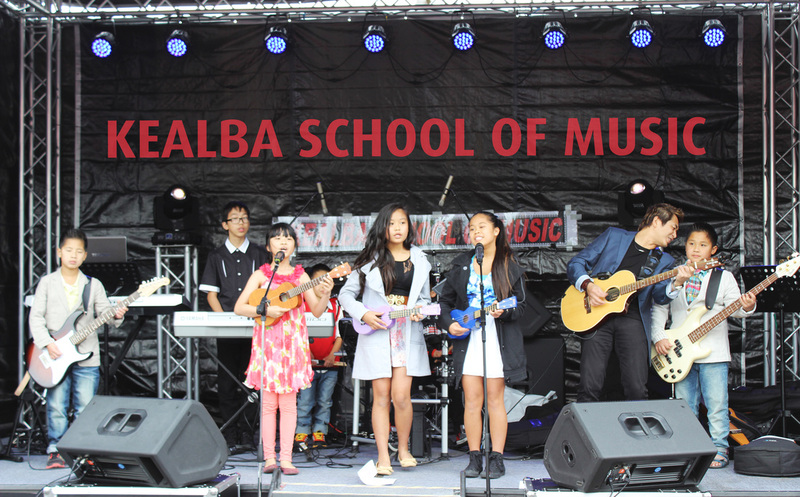 St Albans Festival hosted the the Kealba School of Music. 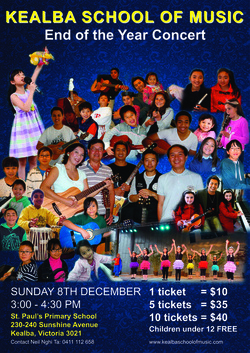 Come join us for a FREE eveining of entertainment presented by Neil Ta, the Kealba School of Music and local Melbourne Singers. There'll be food stalls by local restaurants and information booths by local business. The aim is to promote St Albans businesses as well as Brimbank and it's wonderful people. Join us for a musical picnic in the park. Be serenated by our talented students while enjoying our FREE BBQ and international food. Join us for a delightful afternoon full of music and dance. We'll provide a place, music and opportunity to have fun and meet new friends, you BYO some food to share (optional). Children enter for free, adults $10 a head to help us cover for the expense of the day. Lots of raffles, games and cool prizes including guitars and ukuleles. We are having an end of the year concert to show parents, families and friends the talent and the hard work our students have been putting in this year. We ask that tickets please be purchased prior to the concert date so that we can ensure that enough chairs are available for the concert. However a small number of tickets will be available at the door. Light refreshments will be available at the event.